They say that narcissism is associated with blogging so if I'm going to be considered narcissistic then I'm going to go all the way. Today it's all about me. Can I just say how much I still enjoy my birthday? I relish my day every year and celebrate it for all its worth. I'm beginning the day with breakfast with a friend, then hubby is taking me shopping after work, and tonight we are going to dinner with a group of friends. So excited! I have to give a HUGE shoutout to my wonderful mom and dad in law because they were brave enough to offer to watch my kids not only while I was at school for my inservice day, but also to have them spend the night so we didn't have to pay a babysitter for our night on the town. They rock, don't you think??!! Hope you have an absolutely fabulous day! Happy Birthday!!! I hope you have a wonderfully blessed birthday!!! Sounds like you're going to have a wonderful day!!! Enjoy it!! I'm sure that your kids are going to have just as much fun as you tonight with the grands. It's so great that you have them near to do that for you. Wow shopping what a great guy! Have fun today! Happy Birthday! I hope you have a fantabulous day! Your mom and dad in law totally rock. 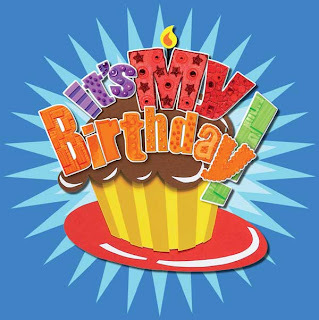 hope you have a great day - I love my birthday also!! Happy Birthday, Mel! It's my nephew's birthday today too (he's 1!) Hope you're enjoying your day ... sounds like you had a great one planned! I hope you have a great one! You deserve it!